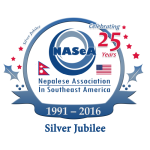 Nepali National Convention 2018 (ANMA, NASeA, ANA) Greetings from the Nepali National Convention 2018 Chicago, IL. प्रेस विज्ञप्ती: नेपाल संविधानको हार्दिक स्वागत गरौ ! सबैलाई शुभ कामना!! प्रेस विज्ञप्ती नेपाल संविधानको हार्दिक स्वागत गरौ ! सबैलाई शुभ कामना !! INLS-GA Chapter: please find the Press Release in English below and the Nepali version is attached with this email prepared by INLS-GA Chapter General Secretary Kiran Dhakal.